Weight loss diets are very popular around the world and the popularity of various fad diets that promise to get you quick results, waxes and wanes. This generally happens when certain celebrities start talking about a particular diet, which they claim got them the desired results in a short period of time. The craze around these diets generally builds around anecdotal evidence of these claimed 'results' by a handful of people, until health experts and dietitians finally speak up and reinforce the basic rules of healthy eating and denounce crash diets completely. 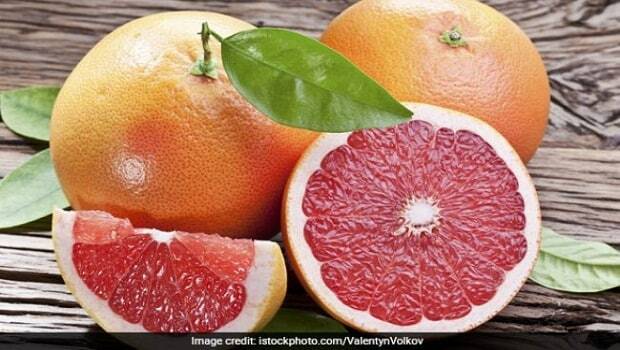 One such weight loss fad diet, which has been around for some time is the grapefruit diet. The diet has been around since the 1930s and has many variations now, with all of them being low in carbohydrates and calories. The diet is based on the belief that grapefruit contains 'fat-melting' enzymes, or have similar fat burning properties, which make it a great weight loss food. The 10-day grapefruit diet has a very strict meal plan, which only delivers between 800 and 1000 calories to the body per day. 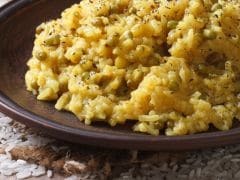 The extreme diet is obviously potentially dangerous, as eating such low amount of calories is akin to malnutrition and can result in serious deficiencies. The grapefruit diet has been claimed to get you the results that you mean to see, without having to exercise or engage in any other physically intense activities. The grapefruit diet for weight loss is also known as the "Hollywood Diet" and was introduced in the United States during the 1930s. However, in the 1980s, it was re-popularised as the "10 Day 10 Pounds Off" diet. This means that the diet promises to make you lose as many as four kilograms in just 10 days! This extreme low-carb diet encourages you to consume meals made up of grapefruit paired with foods high in dietary fat as well as meat, eggs and other protein-rich foods. The diet is typically followed for 10 or 12 days, followed by a resting period of two days, when you don't follow the diet and instead prepare your body to get back to its normal dose of nutrition. 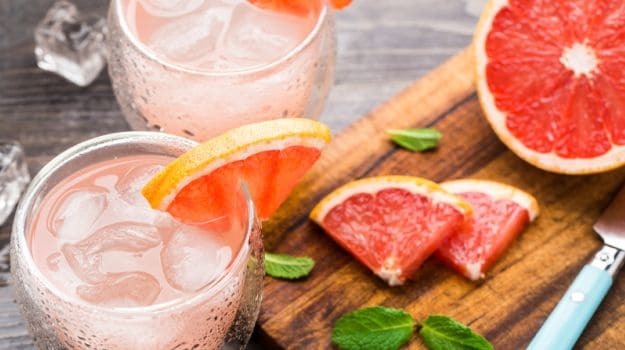 Grapefruit diet for weight loss: It is also known as the "Hollywood Diet"
The grapefruit diet restricts intake of carbohydrates by removing foods rich in sugars, which includes even natural sugars from fruits, as well as fibre-rich foods like cereals, grains and vegetables. However, some modified versions of the diet have started incorporating low-carb veggies within the meals. 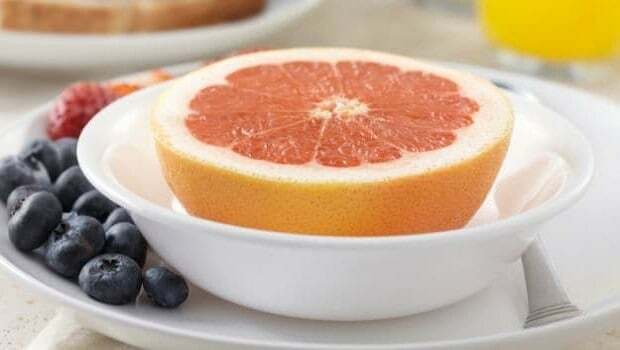 The only thing that is uniform among all these versions of the grapefruit diet is the consumption of grapefruit juice with every single meal of the day, as well as the ban on high-carb grain and foods with processed grains and processed sugar. A typical grapefruit diet breakfast involves bacon and boiled or scrambled eggs. Needless to say, no salty snacks of fried foods are allowed during the period of 10 days. Consumption of healthy fats is encouraged, while consumption of caffeine is restricted. Also, the diet encourages you to stay hydrated throughout the day. Consumption of all kinds of meats (except red meats) and low-fat dairy products is also allowed in the grapefruit diet. There is no restriction on the cooking style of these meats either. 1. Breakfast (8.15 am to 8.30 am): 4 ounces or 118 ml of grapefruit juice or half a grapefruit, two boiled or scrambled eggs, two slices of bacon. 3. Dinner (7 pm): 4 ounces or 118 ml of grapefruit juice or half a grapefruit, meat or fish cooked in any style, red, green and yellow vegetables cooked in butter with any kind of seasoning. 4. Bedtime Snack (9 pm): A glass full of low-fat milk or a glass of tomato juice. In the grapefruit diet for weight loss, some fruits and vegetables are allowed, while some others are banned. Usually green leafy vegetables like kale, spinach, lettuce, as well as cruciferous veggies like broccoli are allowed. There are some negative-calorie vegetables like carrots and cucumbers are also allowed, and so are red and white onions and bell peppers. On the other hand, starchy veggies like potatoes and sweet potatoes, as well as cauliflower and bottle gourd are banned. Among nuts, only cashews are a no-go in the grapefruit diet, whereas among oils and fats, vegetable oil, canola oil, butter and margarine are banned. As far as the effectiveness of the grapefruit diet for weight loss is concerned, it may get you the results you desire within the stipulated number of days. When you reduce the consumption of carbohydrates, your body starts burning fat instead to produce energy, which may lead to weight loss. Moreover, elimination of processed grains and processed sugars from your diet and replacing them with low-calorie vegetables and fruits may help in detoxing your body and reducing inflammation. However, following this diet isn't a very sustainable solution to your weight issues. This is because you cannot stay off carbohydrates forever, and as soon as you re-introduce carb-rich foods in your diet, you are likely to gain all that weight you lost, again! Moreover, getting rid of carbohydrates from your diet may lead to low blood sugar and erratic blood pressure. Moreover, the diet is based on scanty scientific evidence of grapefruit being a 'fat burning' fruit, and hence as dubious credentials. It's important to remember that eliminating an entire food group from your diet may lead to deficiencies in essential micro-nutrients. 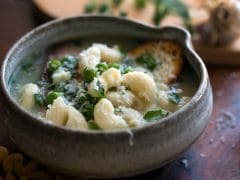 Consuming a healthy diet comprising whole foods and some amount of good carbs, as well as adequate exercise is always the way to go, especially when it comes to losing weight.